Latvian-American modernist architect Gunnar Birkerts died at the age of 92 on August 15, just as his legacy is beginning to be reevaluated by contemporary architects and historians alike. Based in the Detroit area for over 40 years, Birkerts designed distinctive buildings in the central United States and taught studios and seminars as a professor at the University of Michigan. His work was characterized by an experimental attitude toward materials, an intuitive approach to space planning, and an uncommon keenness for innovation in the use of daylight. Riga, Latvia’s National Library of Latvia (NLL), Birkerts’s last and greatest building, was completed in 2014 after about 25 years of work on the project. The NLL is a marvelous culmination of his career. Its completion was doubly special because Birkerts—born in Riga and the son of Latvian folklorists Peteris and Merija Shop Birkerts—had long been committed to the maintenance of his nation’s cultural heritage. Birkerts’s renown peaked between the mid-1970s and the mid-1980s, when he completed a group of buildings that broke open the increasingly stale forms and material palette of modern architecture. 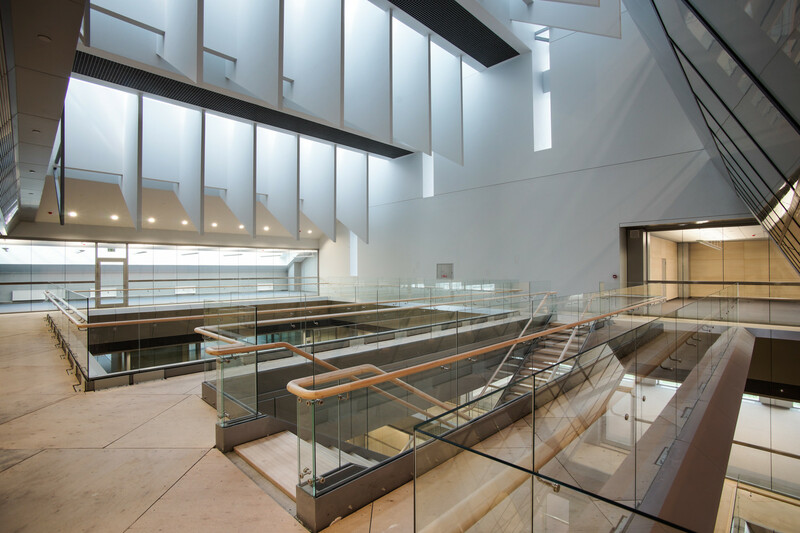 These buildings diffused light on matte surfaces or refracted it from polished materials to reduce the glare that too often plagues sheer glass buildings. Birkerts was one of many “displaced persons” who arrived in the U.S. after World War II. He emigrated here after an architectural education at the Technische Hochschule Stuttgart, in Germany, and eventually settled in the Detroit area. Birkerts worked for Eero Saarinen in the early 1950s, as his firm was developing a laboratory-like working method driven by model building and materials testing. He later left the Saarinen office for Minoru Yamasaki’s—also in the Detroit area—where he contributed to that firm’s decorative embellishment of modernism. He often cited Eero and “Yama” as the two most profound influences on his approach to architecture. He left Yamasaki and formed a partnership with Frank Straub in 1962, then founded his independent firm Gunnar Birkerts & Associates in 1964. Even after most of his former colleagues at the Saarinen office—Kevin Roche, César Pelli, and Robert Venturi, among others—had departed for more cosmopolitan locales on the East and West coasts, Birkerts stayed in Detroit because he wanted to remain independent of any particular cadre or school. 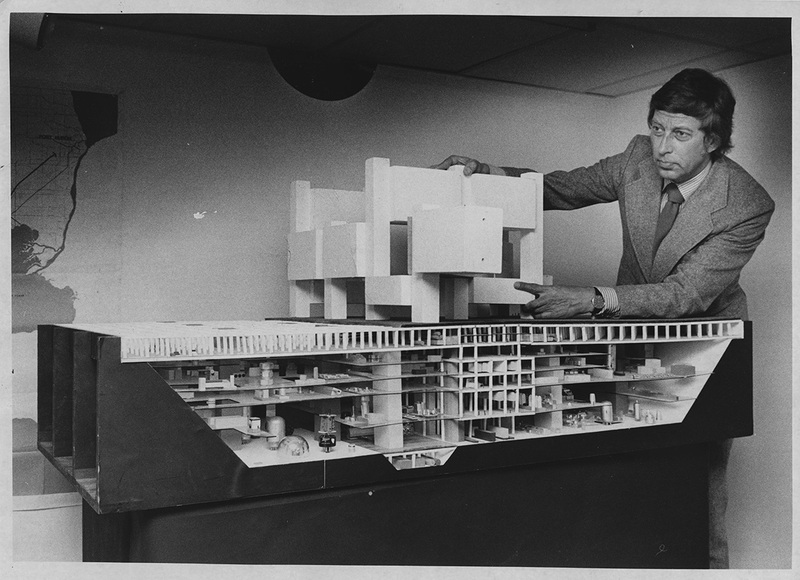 This individualist spirit was Birkerts’s key bequest to the generation of architecture students and office associates he guided. Because of his individualism, Birkerts was perfectly suited to the Detroit area, with its history of tinkerers, innovators, and entrepreneurs. “We may have been building Ferraris,” Birkerts said in a 2015 interview, “but we were doing it in a garage,” suggesting that the polished, industrial design–like aesthetic of his buildings was not mirrored in his office environment or working method. Indeed, in his later years, Birkerts expressed skepticism about the rising importance of digital design in architecture, believing that it distanced architects from the intuitive, the experimental, and the handmade. Loose sketching and conceptual metaphors occupied an increasingly central position in his creative process during his later years. These attitudes caused him to lose favor in the style- and technology-obsessed culture of the late 20th and early 21st century. Rebuffing the flamboyance of postmodernism and the structural exaggerations of High Tech, Birkerts spent those years laboring on several unrealized megaprojects in Italy, and on unjustly overlooked U.S. work including the Frank Lloyd Wright–infused Domino’s Farms development in Ann Arbor, Michigan. Later designs show Birkerts’s ability to deftly integrate motifs from the national romanticist and art nouveau buildings of his home city without descending into pastiche. Despite these unusual ingredients, he remained staunchly committed to modernism. But his was not the dogmatic International Style of earlier architects. Instead of codifying rules, Birkerts continued modernism’s intuitive tradition of individual expression. We can still learn much from his example. Latvian architect Gunnar Birkerts has passed away at age 92. The Detroit-based architect was best known for his formally exuberant interiors that carried on the legacy of Eero Saarinen; in 1951 Birkerts came to the U.S. to work with Saarinen in Birmingham, Michigan. He also worked in the offices of Perkins + Will before starting his own practice where he developed a unique style around unexpected angular forms and layered, folding planes that defined spectacular spaces.